WHEN Beng Teck Liang first took over the helm of Singapore Medical Group (SMG) in December last year, he found a company caught in a bind. Morale was low. Finances were tight. The group was also involved in a legal situation with an ex-employee claiming $2 million from the firm. "There were structural issues, personnel issues. 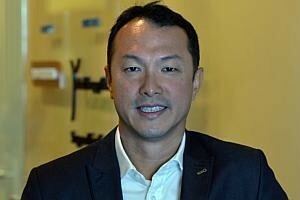 Doctors were in the process of leaving left, right and centre," Dr Beng told The Business Times in an interview. SMG had initially been pursued by Q&M Dental Group, which in Dec 2012 launched a $22.7 million takeover bid, offering 13.23 cents for each SMG share - a 41 per cent premium over its share price of 9.4 cents. But in May last year, the dental group pulled out from the deal, citing as a reason a material change in SMG's financial performance. "From a morale standpoint, from December when it was announced till May when it broke, there was basically a period of inactivity (in SMG)," said Dr Beng. "No one could drive any growth; no one could drive any direction. There was a tremendous amount of uncertainty." "If you're a smart person - and doctors are very very smart people - they will wonder is this where I want to be? There has to be stability, there has to be confidence." Two weeks after Q&M terminated the agreement, Dr Beng - a doctor by training who decided to venture into business after five years of practice - acquired 20.4 per cent of the group. Then, in October, Parkway Holdings founder Tony Tan Choon Keat and CordLife Group co-founder Ho Choon Hou - acting in concert with Dr Beng - bought a 42.2 per cent stake in the group from previous controlling shareholders Cheryl Baumann and her husband Felix Huang Keming for 11.44 cents a share. The change in ownership triggered a breach in SMG's banking covenant with RHB Bank, and also the right for private equity fund Kendall Court to require SMG to redeem its 25.5 million redeemable convertible preference shares. If the latter were to take place, SMG's current net tangible assets would fall below that required in a banking covenant with Maybank, causing another breach. These added to the already-precarious financial situation for the firm. "Literally we were living hand to mouth. We weren't sure at months whether we could pay things off," said Dr Beng, formerly a managing director for Hewlett-Packard in Thailand. He had to extend a $500,000 loan to the firm in November to shore up its finances. Subsequently, in late December, SMG announced a rights issue, raising $7.4 million in net proceeds. The funds raised have enabled SMG to pay off Kendall Court. While the firm is still in discussions with RHB and Maybank over the breach of its banking covenants, they are "extremely comfortable" with SMG's current financial position, he said. "For the first time I can actually sit back and breathe," Dr Beng said as he chuckled. "From a cash standpoint, we've got more than enough for our needs this year, not just day-to day-operations, but also to fund the various growth initiatives that we're targetting." Morale has gone up significantly, evident in a drop in the turnover of its staff. The legal battles with its former employee have also been resolved. "We've systematically gone down the list to take away every single potential risk to the business.... it's really around making sure that the legacy issues don't surface ever again," he said. The fact that SMG has managed to narrow its loss in the second half of last year bears witness to this turnaround, he added. Excluding one-off impairment charges made as a result of the restructuring work, SMG was in the red by $0.5 million in the second half of last year, as compared to a loss of $1.7 million in the first half. "We've stablilised the ship, and now we're talking about growth," said Dr Beng. He is bullish about the prospects for the healthcare sector. "Medical tourism into Singapore is growing fairly robustly. We see anything from 500,000 to 600,000 patients coming (annually) from overseas into the Singapore market." While the public medical sector is very succesful, it is also facing its own challenges, such as a hospital bed crunch and long waiting times for patients. At the same time, ongoing investments by major players usch as Parkway Holdings and Raffles Medical Group are "clear indications that they believe the market will continue to grow," he said. "We believe that there is such a growth market that there are opportunities for smaller players like ourselves as well." The new head honcho already has his plans all drawn up. Recognising that patients go for brand-name doctors in the private medical sector, SMG intends to add a few doctors over six months. "We're in the process of establishing an organisation that attracts the very best doctors that we can find in Singapore, and I'm personally very involved in the process," said Dr Beng. His father Jimmy Beng, an established urologist, has been called out of semi-retirement to support the endeavour. He started practising at the SMG Urologist Centre on April 1. "Clearly he's got a strong contact base and a strong network of doctors, which he is going to bring into the SMG fold." And while SMG's eye segment used to be its core business, contributing as much as 99 per cent of its revenue in 2006, SMG - which owns the Lasik Surgery Clinic at Paragon - will now invest more in other areas such as oncology, women and children, aesthetics, dental, sports medicine and orthopaedics. The Lasik market has been shrinking, he explained, though markets within opthamology such as eye diseases and cataracts continue to grow. The business made up 21 per cent of its revenue last year. Another area of expansion will be in regional markets. "We're seeing two to three times year-on-year growth in the number of patients from the Vietnamese, Russian and Cambodian markets," said Dr Beng. Singapore is famous in the region for providing quality care, he added. "While we are still recognised and famous, we need to take our brands, our technology out into those market places." The group has signed an agreement with Ciputra Group, one of Indonesia's largest property developers, to start an eye clinic in Jakarta. Both are now in the process of finalising the joint venture, with the centre probably starting in September or October, said Dr Beng. "The key thing is finding the right partner. We have the right partner in Indonesia, and we're looking for the right partners in Malaysia, and the regional neighbouring countries. We'll take more and more of our verticals out there." More tie-ups are in the works, especially as SMG's chairman Tony Tan - the founder of Parkway Holdings, the largest healthcare provider in Southeast Asia - is actively involved in the business. "He's got a tremendous network, which is being leveraged in a variety of contexts today," said Dr Beng, who interacts with him "almost every other day". The other major shareholder, Mr Ho Choon Hou, is more a passive investor, but Dr Beng does not rule out a potential partnership between SMG and Cordlife when opportunities arise. Already, SMG's share price has climbed 40 per cent this year, ending at 15.7 cents on Friday, compared to the 1.1 per cent increase in the Straits Times Index benchmark. But Dr Beng has his sights set on much more. "Do I want to be in a larger business than where we are today? The answer is absolutely. I want to be a lot bigger (than our current $30 million plus market capitalisation)," he said. "We've got a stable ship. It's a ship that's cleaned up, that's free from debt, that's free from all legal battle. And it's a ship we're looking forward to growing significantly."